I discovered something absolutely AMAZING while testing on the beta last night. If you're a lover of pet animations and interactions, you'll absolutely want to favorite the many pets that interact with you or other pets. Because guess what? GARRISON GENERATED PETS INTERACT WITH EACH OTHER AND PETS THAT YOU SUMMON! Sorry for the caps, but this is really exciting news for me. As someone who's always wanted a large group of pets following/around me, all of their animations and interactions included, this is quite possibly the best compromise that I can get. I can have this and more without lagging or irritating the rest of the WoW population. Excellent. At Tier 2, the Pet Menagerie will spawn 10 pets from your favorites list (or random pets if you don't have enough on the list or any at all), and they will wander around your garrison. The pets are auto-generated upon loading your garrison, so if you're not satisfied with the selection that spawned at your menagerie, relog and a new set will show up. Currently there's a bug where wild pets will show up as wild (green paw print) and can be attacked with player abilities. They can't actually be captured or anything though. This bug will hopefully be fixed before the expansion is released. Pets that may or may not play so nicely will stop to interact if there's an appropriate target nearby. Let's say you have 3 Clockwork Rocket Bots and add them all to your favorites list. If your garrison spawns them all at the same time, and they're in close proximity to each other...you can expect quite a bot battle! Pets that respond to emotes also work in the garrison, just target them and emote away. The pets wander around every now and then though, so you may need to be quick about showing them your love and attention. Some pets that interact with players and the environment around them don't seem to work that well, or at least they're not as interesting/fun. For example the Frigid Frostling, who sometimes targets an NPC or player and throws snowflakes at them to grant them a buff, will target an NPC not in line of sight so it's a wonder where the frostling's snowflakes go. The Searing Scorchling and Willy, who are the bane of non-pet critters, simply have no targets they can kill. Poor guys. And pets that are normally vendors don't really work either. The Ethereal Soul-Trader will straight up ignore your requests to purchase more Ethereal Mutagen. Jerk. There's a small downside to this system where favorited pets have priority spawning inside your garrison. If you desire a house full of pets that have fun animations and interactions, you need to make sure your list is comprised of mainly (or only) those select pets. Otherwise your garrison will randomly pick from your favorites list. If you have a miscellaneous favorite, mainly for battling purposes, that pet may show up instead of one that will put Lil' XT in his place. If this doesn't bother you, then favorite away! But for me, my list is mainly for quick and easy access to pets for teams that I use against trainers. There are addons that can save teams for you, but I've heard talk of settings not saving properly or things going wrong/being bugged. It doesn't sound like it happens often, but after setting up X number of teams for different strategies and fights, it's probably devastating when your preferences disappear. But I may have to resort to using an addon in the expansion, because I absolutely must have pets with interesting animations and interactions in my garrison! I WILL NOT SETTLE FOR ANYTHING ELSE. Another pet peeve some might have is the noise. You may not want to favorite certain pets if you find some of the noises that they make when they cross paths with each other annoying (looking at you Lil' XT). Other pets that have idle animations that include sounds might also not be the best to add to your list. An old guildmate of mine really detested Lil' Smoky's sounds so I had to put it away during raids lol. All issues aside, I'm truly excited about this garrison feature and I cannot wait to play with it on live. I'm going to make good use of the pet filter over on WarcraftPets; drop down menu, under "Pet Properties", select "Has Interactivity", filter and BOOM all pets that do stuff. Favorite you, and you, and you, and oh can't forget about you! On top of all of this, pets will often follow you while you walk around your garrison. Adorable. To make it even more personal, garrison spawned pets will also use the names you've assigned to them in the Pet Journal. This feature isn't working at the moment, but here's hoping it will be ready for the expansion's release. The Pet Menagerie is shaping up to be a great place for both collectors and battlers. It offers something for everyone's style of gameplay. Collect pets? Show them off and watch them play or fight with each other! Battle pets? Challenge the daily legendary trainer and earn/buy rewards! YAY FOR EVERYTHING PETS! There's a good thread in the WoD Beta forums discussing the current difficulty level of the Pet Menagerie. Basically, for a plot that everyone will want to have at at least tier 1, the entry level for it is too steep for WoW's general audience. Currently, to finish building it, you need to complete the quest Pet Versus Pet. I detailed what the objectives are for this quests in this post. For a veteran battler, a task like this is something that can be easily handled. Even if a team and strategy aren't planned out from the get go, a long-time battler generally has a large selection of pets at their disposal to try out. On top of that, vets have the knowledge to back up their massive armies. For a more casual battler or someone that isn't into Pet Battles at all, this challenge would probably seem impossible. Howl bomb strat, what is that? Yet without defeating all three legendary pets, the menagerie cannot be fully built. It will still exist in its assigned location, and you'll see the NPC Lio the Lioness, but imagine how irritating it will be having just ONE plot forever incomplete? So with this in mind, I agree with many of the points made in this thread. If you take a look at all of the secondary profession plots, the quests necessary to finalize the plots and bring them to tier 1 are straight forward and anyone could complete them, regardless if they're proficient in said secondary profession. Shouldn't the Pet Battle plot be treated in the same way? It would not only satisfy the overall completion of the garrison, but could also be a gateway for players who never really picked up Pet Battling. It might spark an interest or curiosity to check out just what battling with these little pets is all about. A lower entry level means a wider audience can be reached. By no means is anyone saying that Pet Battles should be "dumbed down" though. There are some great ideas for gradually increasing the difficulty level for each tier of the Pet Menagerie. Introduce more difficult quests over time to finalize the building of each level. Present a challenge that can only be completed using the daily trainer battles. Maybe even specific achievements need to be satisfied to prove that players do know what they're doing, and are ready for something harder. Anyway, it just makes sense to remove the high difficulty level for simply building the plot. Most probably won't take part in the daily challenges or have any real desire to do so. But at least their garrisons won't be incomplete, and simply having the menagerie plot unlocked and sitting there might make them curious enough to try it out. UPDATE #2: According to Mumper they should have the names you've assigned them in the Pet Journal. It requires your garrison to be reloaded, though. Time to rename all my pets and the relog to double check! Also, the pet battle daily is NOT account wide (for now). I was able to create a second character and pick up the quest again. This might change so we'll have to wait and see what happens once WoD goes live. Now that Blizzard has opened up a level 100 PVE server, it's fairly quick and easy to make a premade toon and check out the Pet Menagerie in your garrison. I covered my initial findings in the menagerie in this post, but now that I have full access, I've tested a few more things. Although the plot will be unlocked, you'll need to finish building the menagerie itself. To do this, Lio the Lioness will have a quest for you to complete, Pet Versus Pet. 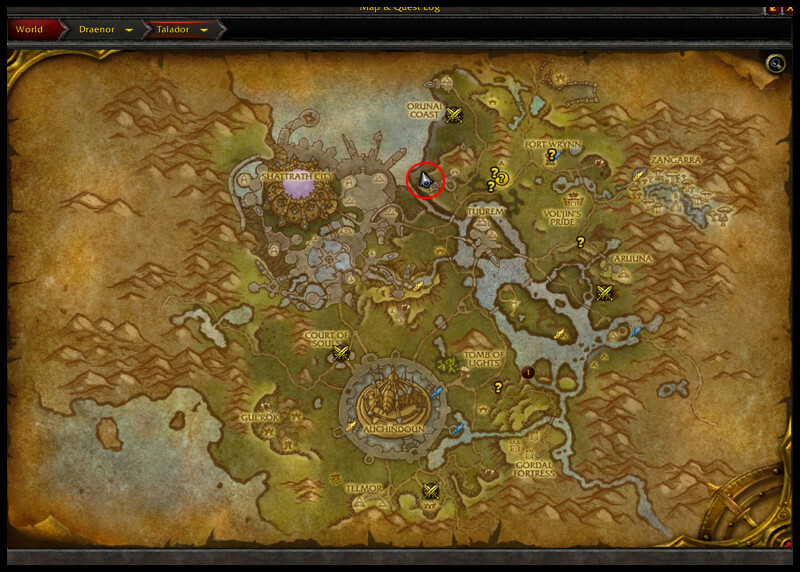 The objectives are straight forward, defeat three pets that can be found around your garrison. The three pets you'll need to defeat include Gnawface, Carrotus Maximus, and Gorefu. All of the pets are legendary, and as such have the Boss buff. In the case of Gnawface, who also uses Crouch (reduces damage by 50% for three rounds), the buff can be nasty. With Crouch up, Gnawface will take zero damage from unbuffed attacks. (UPDATE: LeCraft noted that this is a bug and Crouch will be replaced with Comeback.) Much like the other legendary pets that we currently find in Pandaria, the most effective strategy against Gnawface and his allies is to stack damage debuffs on them and then go to town. Against Gnawface, I brought out my trusty Zandalari Raptor trio (thanks to ‏@gloriaboboria's suggestion!). Black Claw and then Hunting Party did the trick. With good RNG, I didn't even need my second or third pet. It helped that I had them there though, just in case Gnawface scored some lucky crits. Next I faced Carrotus Maximus and used the proven Unborn Val'kyr, Pandaren Water Spirit and Chrominius team. Unholy Ascension and then I swapped to my Water Spirit to put down Geyser and Whirlpool before switching to Chrominius. Howl, Surge of Power and win! Last but not least, Gorefu. Quite frankly, the previously mentioned teams would probably work just fine against this pet, but I wanted to try and create completely separate teams to use against each pet. On top of that, I had a desire to make a team that utilized mainly strong attacks. Maybe that goal was silly and unrealistic of me, but in the end it worked out ok. Just ok lol. I ended up using Ji-kun Hatchling (2,2,1), Darkmoon Hatchling (1,2,1), and any chicken (1,1,2). Started with my Ji-Kun Hatchling, Acidic Goo and then Flock until my pet died. Swapped to my Darkmoon Hatchling, Hawk Eye and then Flock again until it died. At that point Gorefu had low health and an increased damage debuff on it, so my chicken was able to use Squawk and then Peck to finish him off. Completing each objective will cause the NPCs to despawn, and turning in the completed quest will cause them to disappear altogether. So if you're looking to fight the three pets multiple times, abandon the quest each time and pick it back up. I didn't test whether or not they yield any pet experience, but I imagine that it's not much if they do (same as the Pandaria legendaries). If you want to start doing the garrison pet battle daily, though, you'll need to turn in the quest. Lio will then have a daily ready for you. It's appropriately called "Pet Battle Roundup" (name of Liopleurodonic's pet battle blog! ), and the objective is to simply defeat whichever trainer shows up at your garrison that day. Completing the daily rewarded me with four Beast leveling battle-stones. I'm not sure if these stones will change daily, or if they will always be from the Beast family. Even if you turn in the daily, you can still challenge the trainer multiple times, just for funsies or perhaps testing purposes. There's really no benefit, though, unless these battles award pet experience. Again, it's something I haven't tested, so I can't say if they do or not. As with all things beta, there are bound to be changes and updates. Lio the Lioness is no exception. This vendor received an update since my last blog post on the menagerie. She no longer sells family-specific leveling battle-stones, and instead has Flawless versions (generic, can use on any type of pet but still only grants 1 level per use). On top of that, she also has a stock of Marked Flawless Battle-Stones, that you can trade for by giving her 3 stones from the same family (same as the battle-stone vendor in Stormwind and Orgrimmar). She still only accepts Pet Charms as currency for many of the items. Unfortunately, it's still unknown where these charms come from. I thought they might be linked to the daily in some way, perhaps the reward for completing it each day, but there was no such reward. So it's still a mystery. Update: No new additional pets were in the Pet Journal, however there was info on where each of the new datamined pets will come from. The Spring Bouquet was also added. Another pet was datamined but it wasn't included in the Pet Journal this time around, Limbflayer. I'm glad to see that the in-game holidays are getting some love. New pets! And archaeology will have at least 2 new pets to work on. The Safari Hat was removed from the Toy Box, but thankfully it will continue to function in the same way. On use it will apply the experience gain buff rather than swap out your helm. SUPER YAY! A new patch was released for the beta, unfortunately there was a power outage in the Blizzard HQ area which prevented Blizzard from completing the patching process. Beta realms are still down even now but will hopefully be back up some time today. Until then, we only have datamined information on the new additions. I'm waiting for the servers come back up, then I'll be able to check the Pet Journal for new pets. So far 7 new pets have been datamined. Once the servers come online, I'll add any other new pets that I find in the Pet Journal. My character finally made her way to Talador and began questing there. I wasn't intentionally searching for the Stonegrinder pet but happened upon the cave, that's been mentioned by a few other testers, while I was questing. The location isn't super obvious, however there are the slowing and sensor totems outside that give away the entrance. You'll definitely walk by near the cave's entrance as you level through Talador; it's located right next to the ramp that leads down from the Archenon Siegeyard (questing area where you take the shredder). Inside the cave you'll find those same totems plus lasers from the ceiling, and if you can get past all of that you'll find the chest at the very end (under the beam of light). Entering the red circle will slow you significantly, and entering the green circle will cause you to take substantial damage. You'll also need to dodge perpetually moving green laser beams coming from the ceiling. They move in a predictable circular fashion, so all you really need to master is the timing of when to walk by. Walking through the red (slowing) circles is pretty much unavoidable. But it's harmless and as long as you can time walking through it with avoiding the ceiling laser, you'll be fine. The green (damage) circle should be avoided at all costs. They HURT. There's no reason to walk through them (unless you like to live dangerously and have an ability that negates all damage), as there's a clear path between each one. If you're concerned about having to complete this walk all in one go, don't worry. There are spots throughout the path that are clear from both ceiling lasers and the damaging totems. You can take breaks and wait for just the right moment to keep moving. Timing is pretty key, and I found that following closely behind a ceiling laser, as it was making its circular pattern, worked for me. Movement enhancing abilities/buffs probably work wonders while slowed, but they're not absolutely necessary. I did notice that sometimes the visual of the green circle, indicating the range of the damage totem, disappeared when I angled my camera a certain way. Thankfully, you can pause from time to time and double check to make sure you're staying clear of danger. At the end of the cave you'll find a chest that you can loot. It looks like you can only loot it once; I haven't seen it respawn on this character yet. I'm not sure if it's first come first serve, or if it's a phased area and every person that manages to successfully navigate the cave gets to loot their own chest (and receive their own pet). I'm definitely hoping it's the latter or else I might need to take a character, get past all of the lasers, and then camp her there while waiting for the chest to respawn. Plus if it's first come first serve, there might be an issue with someone camping the chest and preventing anyone else from looting the pet. Unless multiple people log out inside, competition for the chest will be hindered by the time it takes to actually reach it. Some final notes on this pet, it's uncommon, soulbound and becomes common (white) quality when learned. You can cage it and have up to 3 in your pet journal. Best thing about this pet? Stonegrinder has some cute idle animations! There are a lot of pets that come from unknown drops in WoD, but we're slowly learning where they'll likely be found. Currently, there are 25 pets that are listed as drops from Draenor (or other). Additional details about where they come from might be added to the pet journal, but it's always possible that the intent is to keep this information as vague as possible so as to keep us hunting. If that's the case, it'll be up to the community to share and spread knowledge of discovered drops. That being said, there's already drop information on 3 out of the 25 pets! I'm in the process of documenting details on the dropped pets of WoD (and will be updating WarcraftPets with this information), so if you know of other sources for them, please let me know! Yesterday was patch day for the WoD Beta. There I was happily going along, reviewing the new pets and items, when I noticed Perculia's Tweet. If I could bold the question mark at the end of her Tweet, I totally would. A huge question mark was exactly my first thought and feeling. Just a giant "HUH?" Even after learning that Quintessence of Light is a new battle pet NPC coming in WoD (location unknown), that massive "what?" still remained. Hell, I'm still in shock and disbelief. Call me a huge pessimist and negative nancy, but my brain just can't seem to accept that this is a "tribute NPC". There are other things in WoW with "quintessence" in the name (or a variant of that), and those things definitely are NOT named after my character. Perhaps this is just another coincidence? Well, crap. Now I'm probably coming off as ungrateful. 'Oh no, this totally awesome NPC doesn't accurately represent me in any obvious way... wahhh wahh.' Shut up, stop complaining and nit-picking and just appreciate it, right? Please don't get me wrong though. If this Quintessence of Light really is my "tribute NPC", I am so so SO honored. But maybe it's the ever present self-doubt that I have; I can't bring myself to believe that I would receive such recognition. I don't really feel like I've done anything extraordinary or have any kind of standout personality. I could go on and list all the flaws and reasons why that part of me doesn't believe it, but it would turn into a pity-party so I won't do that. I just... (I'm running out of words to express my thoughts and feelings here. They're pretty jumbled up, and I really don't know what to think.) Part of me feels guilty since there are MANY people in the pet collecting and battling communities, and every person adds their own priceless contribution in their own way. I'm truly just one teeny, tiny fraction of the whole. Without everyone else, I would be nothing more than an obsessive hoarder. I'd be alone in my passion for collecting pets. So I guess what I want to say is... just thank you. Regardless if it is or if it isn't my namesake, thank you to the developers and to the pet community. Thank you for being a part of my life in the most unique of ways. We've never met, we probably barely speak, but we share a common adoration for collecting pets and pet battles. Thank you for sharing your enthusiasm with me, and for allowing me to go nuts over something as mundane as a new rat pet or non-battling balloon. Thank you for making me feel like my silly obsession isn't so silly. Thank you for your time, energy, and for being just all around awesome. If Quintessence of Light represents me in any way, thank you. So much. If it doesn't, still, thank you. Thank you for thinking of me. It's nice to know that I'm not alone in my passion, and that I'm a meaningful piece of the puzzle. Sorry if this has gotten unnervingly sappy and cheesy, and I know I'm probably blowing this way out of proportion. But it's the best I could do to convey my thoughts on this somewhat overwhelming matter. What can I say? I'm easily moved yet have difficulty properly processing it all heh. Two beta patches in one week? New pets included? YES PLEASE! Here's a post from Wowhead of all the latest additions and changes. Instead of text, let's just throw a bunch of images of the new pets out there. It looks like the Ravager Spawnling was renamed to Black Ravager Hatchling, and a few of its brothers and sisters were added. The Ravager Wasps are a nice addition, and I love that they're available in multiple colors. Both the hatchlings and wasps are currently listed as "Drop: Draenor" in the Pet Journal. Sky-Bo is another engineering pet (BoP), and the Runtish Gronnling has a unique source, "Drop: Your Attitude". The Grovestrider Hatchling received yet another update and looks a bit like a brown variation of the Dread Hatchling. Wowhead has a better image of what the Draenei Micro Defender will probably look like. The Pet Journal version seems incomplete, as the pet is missing its two shields. 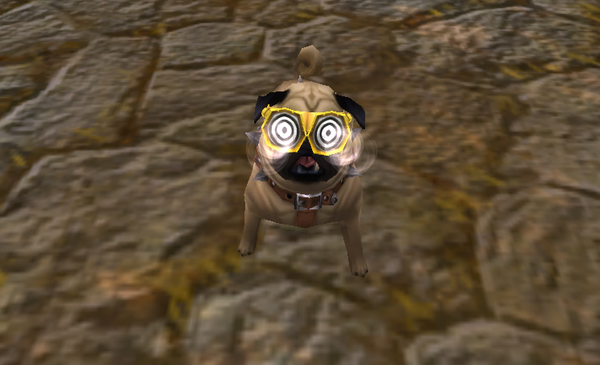 Speaking of models and looks, two of the previously datamined pets seem to have received updates in this latest patch. The Leatherhide Runt's model remains the same, but it looks like the coloration was changed somewhat. Lighter red-brown than the standard Clefthoof. And the Grovestrider Hatchling seems to have been completely replaced with a new model entirely. Prior to the update the pet looked closer to the Darkmoon Hatchling. I'm not sure if this change is intended or if it's a placeholder model for the gorvestrider. Literally. No, I mean you can literally jump up and down and a pet will pop out on the beta. The caveat? This is limited to only the "Helper" pets, which require a specific season to stay summoned out. Here's a video of what the bug looks like. 1. Summon one of the Helper pets. 2. It despawns due to incorrect season. 3. Player character jumps up and down, causing an automatic re-summoning of the pet. This doesn't appear to happen on live servers, and only occurs on the WoD beta. I'm hesitant to actually call this a "bug" though, since bugs are generally bad and unwanted things. I'm wondering if this is actually intended, and if it isn't if it's something players would want to stay. There are pros and cons to having something like this "on action summoning" ability. Pro: It allows for easy/quick summoning of the Helper pets outside of the winter season. Want to summon the pet without resorting to the Pet Journal, a command, or a macro? Just jump up and down on your toon! Con: Chat spam. Two out of the three Helper pets have dialogue when they're summoned outside of their season. As you can see if the video, they can be pretty long-winded. Having someone constantly jumping up and down to re-summon their Helper pets could get annoying for those around them due to all the chat spam. The thing about the con though is that technically someone can already do that by simply spamming their summoning button in the Pet Journal. Or macro'ing it. Having the ability to summon on jump just gives players a faster route of doing this, even if it's not their intention. Unsuspecting players who aren't aware of this "bug" and love to bounce around while doing other things could end up unwittingly spamming the hell out of everyone around them. In the end, this really is a very, very minor thing. I'm sure there are plenty more pressing issues to address and fix on the beta. But I can't help but wonder how the community views this type of bug (or feature if it's intended). Is it an ability that's actually a desirable feature for these pets? Or would it be an annoyance due to the chat spam that would occur? More great beta finds from WarcraftPets users! This time Dakender stumbled upon some "boss pets" (or at least they're flagged with the golden paw print) and took some screenshots of their locations. They don't seem to be officially named yet and they're mainly warp stalkers. That could all change; we might be looking at the beginnings of a Draenor version of the Beasts of Fable quests/dailies. Or will these pet NPCs be apart of something else entirely? One major difference is the "boss pets" for the current BoF stand alone, while these pets on the beta follow another NPC (so far it looks like children). Hopefully these golden paw prints will get updated in a future beta build and we'll have a better idea of what we're dealing with. One concern that I have, regardless of what these type of quest these "boss pets" are connected to, is travel time. As I stated in the forum thread, just how many of these NPCs will we be required to defeat, and how far apart are they? Will travel time be an issue? Flying in Pandaria gave us the freedom to choose our "pet route", and most players opted for the "most efficient" way to hit up all the trainers, BoF and spirits. Even with that freedom, though, it still took some time to get through a daily routine. Roughly ~30 minutes to an hour? Maybe longer for some. Without player flying in Draenor, will that time increase even more? Or will the quest objectives be in close enough proximity so that players can have fun and feel efficient at the same time? Will it feel natural and fluid, instead of long and tedious? If not, a few tricks could be implemented to help in that area. Free teleports to the next NPC, is one idea. Dailies that DON'T involve multiple objectives, is another. Having the ability to "call" the NPC to YOU (maybe to your Garrison) could be neat too. I'm sure there are more ideas floating around out there; these are just some examples off the top of my head.